In his recent work, Christian Carson explores representations of the ruins of symbols and language left after disengagement with a “sublime object,” an ideology, or a belief system, when the object is revealed to be merely a discursive formation and illusory screen of projections. The tension between a desire for totality and an acknowledgment of formlessness, disintegration, and the provisional is a current throughout his studio practice. His work has been exhibited at Taxter and Spengemann Gallery, New York, NY, the Center for the Arts Gallery at the University at Buffalo, the Olive DeLuce Gallery at Northwest Missouri State University, and the Memorial Art Gallery at the University of Rochester. Christian received a BA in English and BFA in Painting from the University of Iowa and an MFA from SUNY Albany. 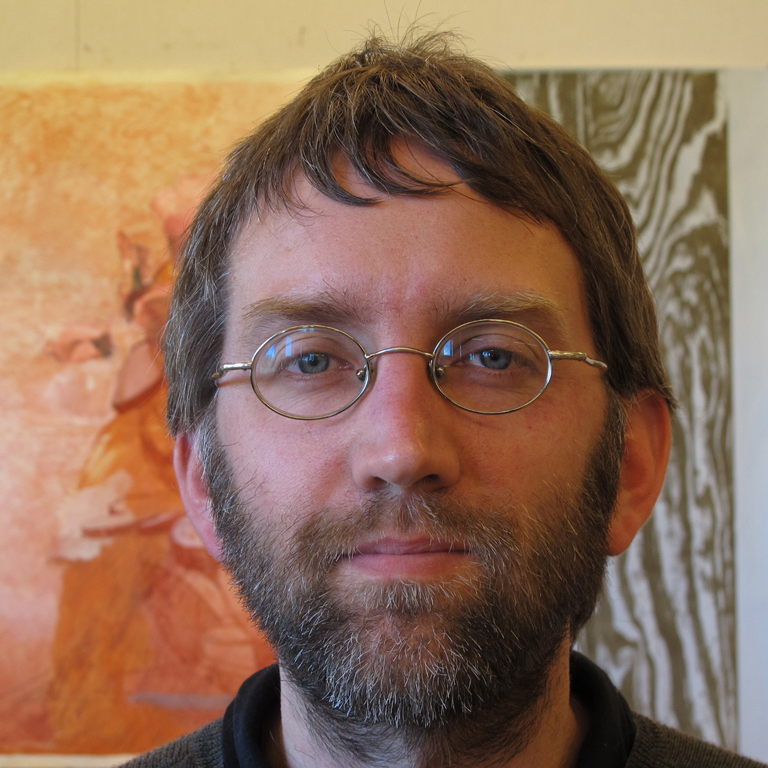 He is an Associate Professor in the Department of Art at the State University of New York at Brockport.